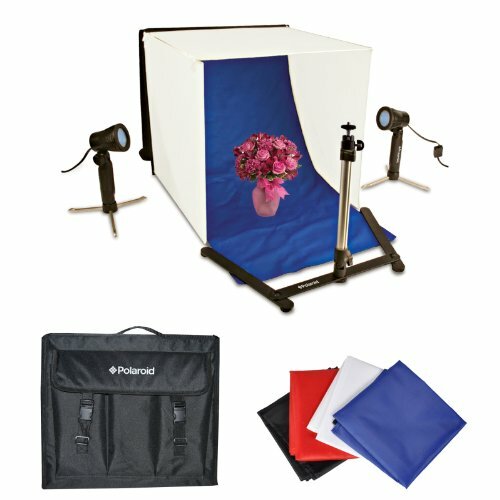 The Polaroid Tabletop Photo Studio Lighting Kit provides everything you need to outfit a small home studio, perfect for macro shots and product photos, all at an affordable price! It comes complete with 2 output lights, tripod stand, 4 backdrops, 3 diffuser screens, and a carrying case. It is everything you need to take professional studio-quality photos of small objects, or for shooting images for your catalog, brochure, website, etc.